All classes enjoyed science week with pupils in each room completing different experiments throughout the week, using their prediction skills and also learning from experiments, especially the ones that didn’t work figuring out how they could improve the outcome the next time. 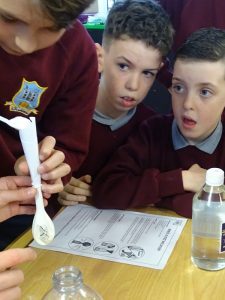 Pupils in junior & senior infants investigated air as a force with a balloon and string experiment, enjoying watching the balloon go like a rocket! What happens to an egg when left soaking in vinegar for a few days? 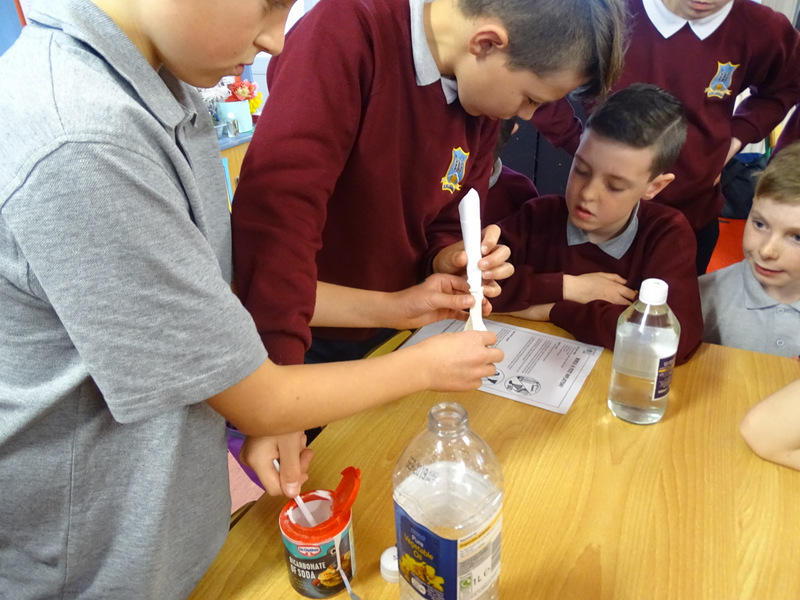 Pupils in the senior room inflated a balloon from the chemical reaction between vinegar and bread soda, watched how water can travel and particularly enjoyed testing their parachutes complete with Lego figurines. Pupils in the middle room made dancing ghosts, learning about static electricity and had new hair styles thanks to the static electricity! 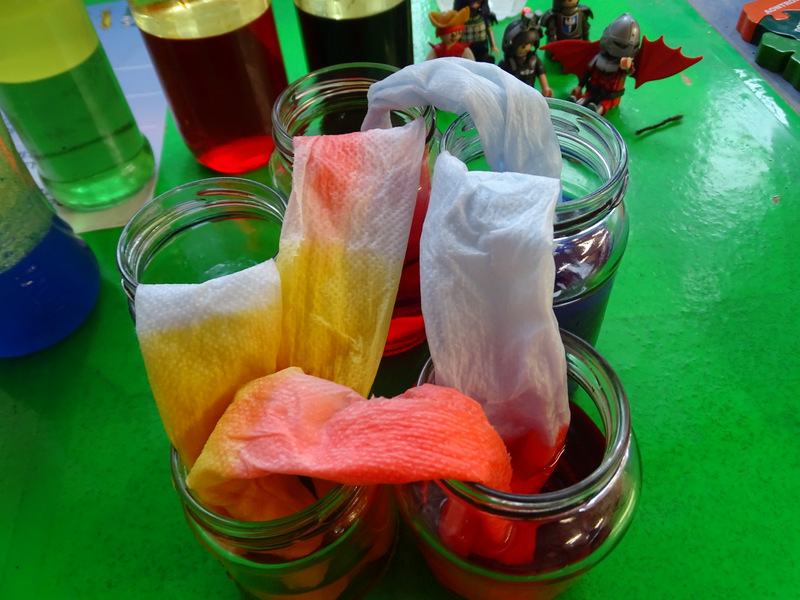 Skittles arranged on a plate made a fascinating design when water was poured onto the plate – lots of colour! They also made their own paper and straw gliders and tested which way they could fly best and how far they could fly. 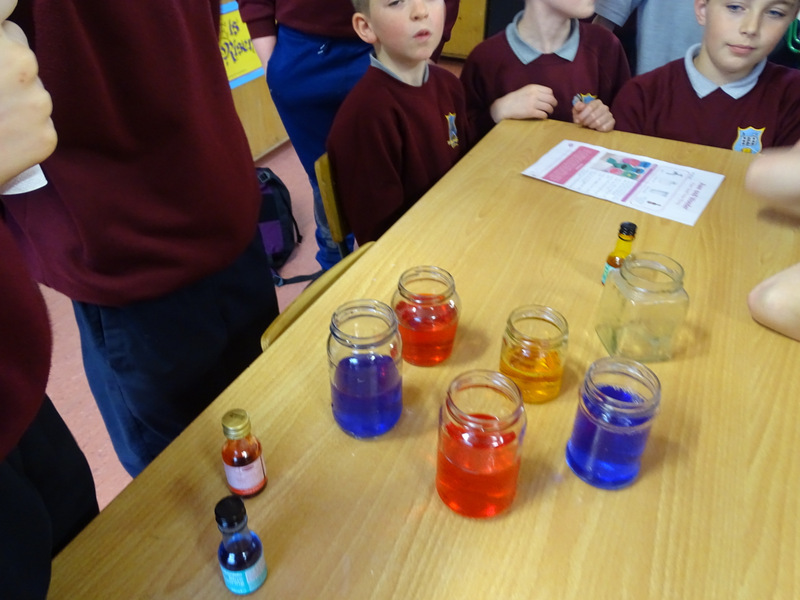 Take a look at some more photos from science week below. Great scientific work all week by all pupils!